A popular combination of Hot Pink and Black! 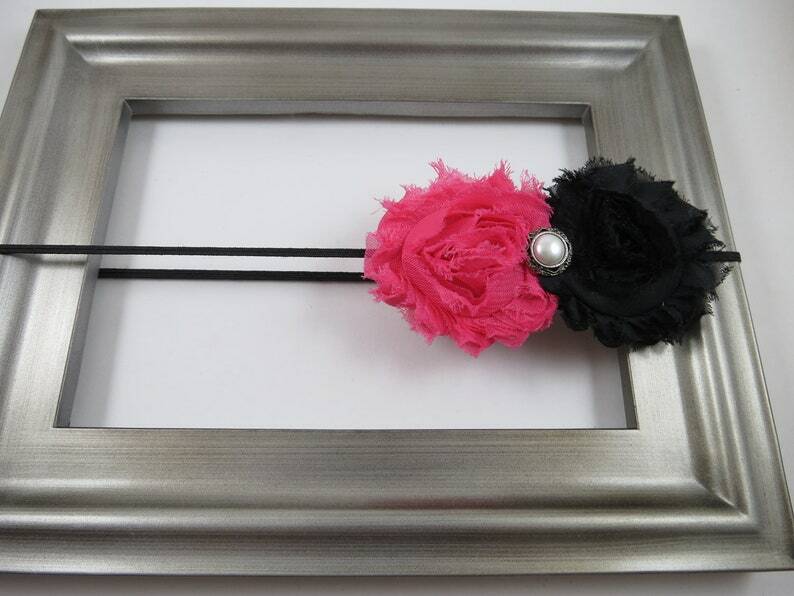 You will get a touch of both Pink and Black in this Shabby Flower Headband! Headband can be worn as an everyday piece or to dress up that special outfit! Perfect for infant to adult! 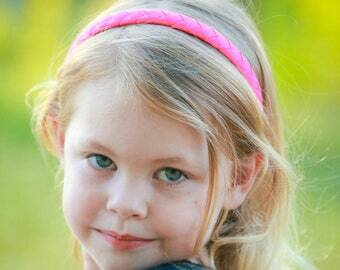 Headband is made up of an elastic headband with 2 shabby flowers and pearl embellishment. Flowers are a hot pink and a black and in the center a pearl embellishment has been added. Flowers are attached to a elastic headband that will fit from infant to adult. 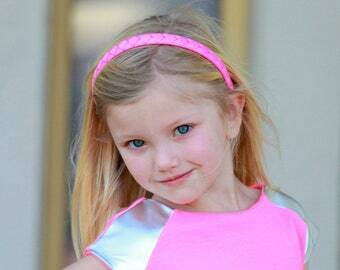 This headband in picture is made at 17" and will fit 5 years to adult. Flowers measures approximately 4" together in length.